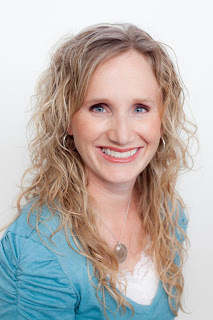 Laurie Here - Contemporary Fiction and MORE - Book Reviews: REVIEW AND GIVEAWAY! 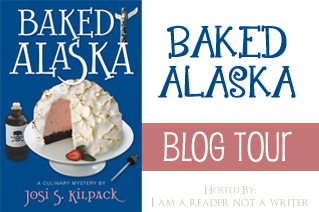 "Baked Alaska" by Josi S Kilpack! REVIEW AND GIVEAWAY! "Baked Alaska" by Josi S Kilpack! An Alaskan cruise is the setting for amateur detective Sadie Hoffmiller’s latest adventure. Sadie plans to spend time relaxing with her two grown children, Breanna and Shawn, and her boyfriend, Pete, while enjoying the luxury and cuisine of an elegant cruise ship and helping to plan her daughter’s upcoming wedding. But even as the crew prepares to leave port, Sadie has suspicions about the voyage ahead and the relationship between her normally easygoing son and a mysterious female passenger he obviously knows but refuses to discuss. When the woman’s dead body is discovered during the first night at sea, Sadie’s apprehension escalates. Over the last few years, Sadie has developed an extreme dislike for secrets—and it would seem her son is keeping one from her. This was a FUN book to read! This author can write a GREAT 350 page cozy mystery! Her talent really gets us, the reader, involved in it, too! You feel as if you are right there, in the midst of it al!! Sadie is looking forward to going on an Alaskan cruise! Saide is going along with her boyfriend, Pete, and her two grown kids, Shawn and Breanna. Breanna is getting married to a man named Liam, back in England and and both Breanna and her mother are very much looking forward to planning her wedding together while on the cruise, plus they are all looking forward to reconnecting together as well. Sadie has really been looking forward to this.The plans were made, the plans were going on, but then a wrench is thrown in the middle of it all, interfering with what she had been so looking forward to. In the beginning of the book, Sadie's son is seen talking to an unknown woman, and he is not willing to discuss her. Hmmm? A secret Sadie does not like. Well, as we all know, cruises are very well known for their over-abundance of food, and this one is no different than any other. The author manages to weave in a lot of recipes along the way, too, and mouth watering ones at that! I thought it was kind of neat how she did this. I believe "I" gained weight while reading this book while the characters were living their story! Food is such an integral part of this book, along with a little mystery, too! There is SO much going on on any cruise ship, of course, that they were definitely kept busy, but not so busy that they happen upon an almost dead body, or so they thought! The woman had such a slow pulse, at first they thought she was dead. They ended up calling for help and the woman ends up getting airlifted to a hospital. Next thing is a woman named Maggie comes forward to ask Sadie for help about the situation and all the things about it, so Sadie ends up putting her detective skills to work, and Pete is a retired Detective, together trying to solve this situation. Other things happen along the way, as well. There ends up being quite a few things to keep Sadie busy on this cruise, and for Pete and her children, too. They all become involved in trying to figure out what happened, who was who, and then adoption issues come into play? Whoa! What's going on? This is just the tip of the iceberg, too! The woman they found was in Juneau, and had to be air lifted again into Anchorage, while her liver deteriorated continuously. Maggie wants her questions answered, so can Sadie, Pete, and the rest of the family figure this out? There is so much more to this story, it will shock you and keep you glued to the page trying to figure out what was going on. This book was very interesting to follow, and the characters truly brought this story to life! I found my nose deep in this story, confused as everyone was, trying to make heads and tails of it all. I really enjoyed this book and I highly recommend it to anyone who loves a great mystery and as an added bonus, recipes, too! Want to WIN a $25 Amazon GC OR PayPal CASH? CLICK HERE TO ENTER THE RAFFLECOPTER FORM! I am impressed with the morality this series has. Scruples are made and kept so the book does not turn trashy. I think that is one of the things I like best about the series. I cannot wait for the next book release coming in a few days.